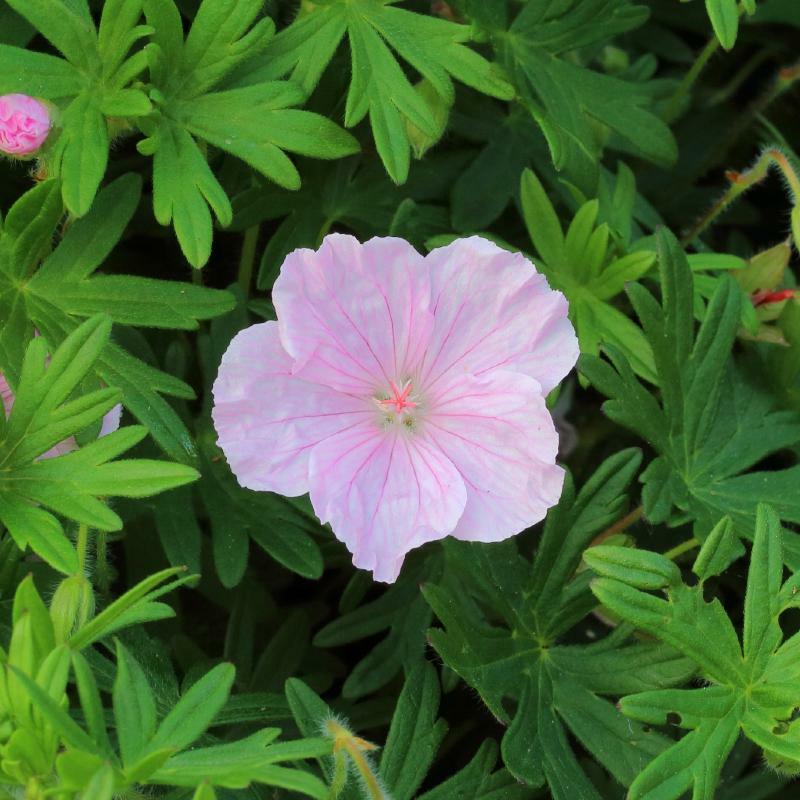 Geranium sanguineum Striatum is a perennial with a prostrate, mat forming, compact habit. Narrow-lobed dark green leaves and pale lilac-pink flowers 4cm in width appear during the summer. Will grow in full sun or partial shade. Hardy. Height 0.5m.